8 in. 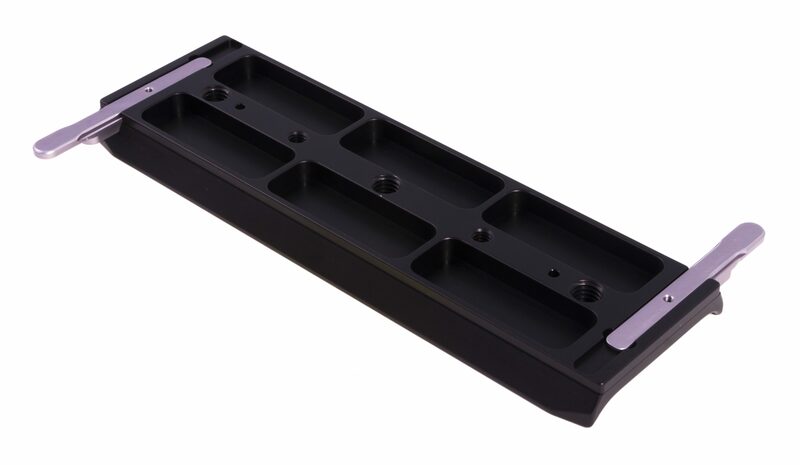 lightweight, low profile Arri style camera support dovetail baseplate for Universal shoulder pad. Baseplate has 3/8-16 UNC and 1/4-20 UNC threaded QR plate mounting holes. Box dimensions: .6 in. x 3.6 in. x 8 in.